Although most indie authors make most of their sales online, many writers would love to see their books stocked in bricks-and-mortar stores – the kind where we bought books when we were kids, before Amazon was even a glint in Jeff Bezos’s eye. But many of them fear it can’t be done. 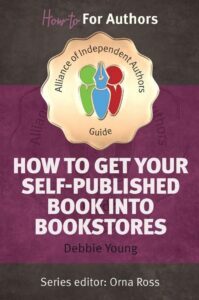 At ALLi, we believe it is possible for indies to work effectively with bookstores, and many of our author members are doing so. We also believe it is the indie’s prerogative to choose whether or not to take that route, and no author should feel a failure if they don’t. But to make the decision that’s right for you, you owe it to yourself to acquaint yourself with the facts, rather than be deterred by rumours or misinformation. If you make the effort to understand how bookstores operate, to view the indie author from the bookseller’s side of the counter, you can only enhance your chances of success. On a busy, crowded Saturday, when customers are queuing at the tills, Fred Fly walks into the bookstore, straight from the door, with no real interest in any aspect of the store other than its potential to stock his book. Although he lives less than a mile away, he hasn’t been in the shop since he was a schoolboy, so has to search to find the sales counter. He joins the small queue, sighing impatiently as the lady in front of him pays for a large pile of expensive books using her well-worn store loyalty card. When he finally gains the bookseller’s attention, he produces his book with a flourish, almost as if expecting a round of applause. 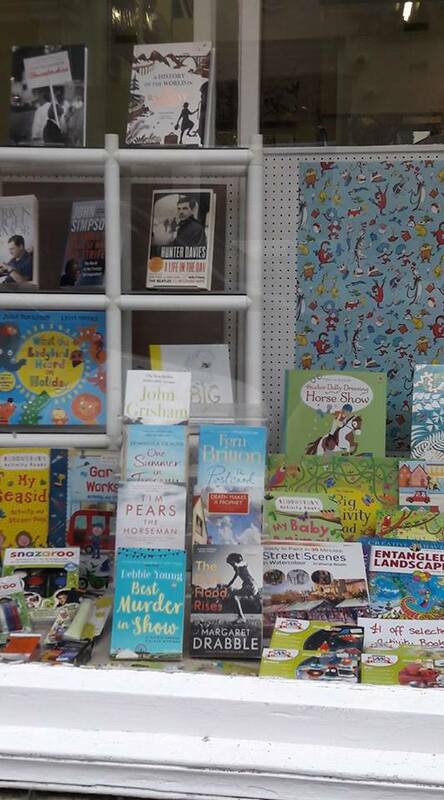 The bookseller is conscious of the growing queue behind Fred Fly, and though he doesn’t want to waste genuine customers’ time, he doesn’t wish to appear rude. After all, his store has a reputation to maintain. If you’re a member of ALLi, you can download the new guidebook free by logging into our membership website. 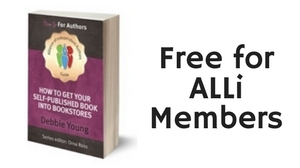 If you’re not a member of ALLi, you can now buy the ebook online at all the usual places . Not a member but would like to be? Free guidebooks are just some of the many benefits of membership – find out more about membership here. If you prefer a paperback copy of reference books, you’ll be pleased to know that we’ll be launching the paperback edition at the start of September, as part of our #Authors4Bookstores campaign. More news on that nearer the time. OVER TO YOU If you’ve found success with a particular bookstore, we’d love to hear the details – please feel free to share your experience via our comments box.